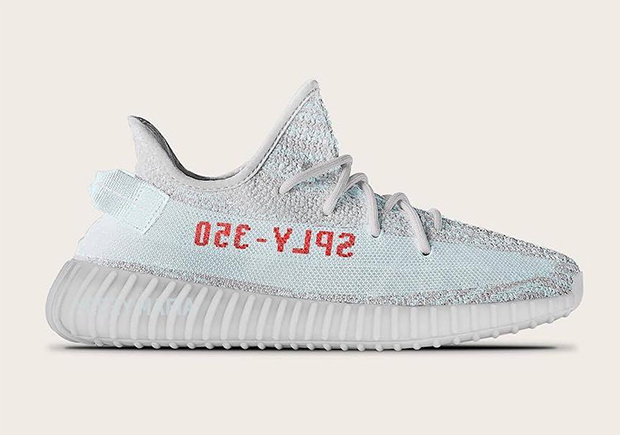 Here’s what a Blue Tint Yeezy could look like come December 2017. According to the leaker of all adidas Yeezy leakers, Yeezy Mafia, we could be in for the adidas Yeezy Boost 350 V2 Blue Tint this coming Holiday 2017 season featuring a baby blue Primeknit with accents of ‘Grey Three’ and ‘High-Resolution Red’ on the side panel branding. There’s still more Yeezy Boost 350 V2 colorways to get to first like recently speculated “Beluga 2.0” option and a “Dark Green” for this summer, but in the meantime stay tuned for more updates in the near future right here on Sneaker News.